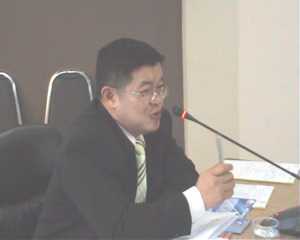 Deputy Mayor Weerawat Kahkai presided over a meeting on the morning of the 5th August at City Hall to discuss about preparations for the Pattaya Food and Hoteliers Expo 2008 later this month. Apart from the main events taking place inside the A1 Royal Cruise Hotel on Pattaya Beach Road, a stretch of beach frontage is earmarked for entertainment activities and 50 stalls to be placed selling food and beverages. DD, can you post the exact dates of this when they become available and is it worth checking out? maybe i will meet you there! On July 31, 2008, at the venue of A-One The Royal Cruise Hotel, North Pattaya, the planning committee of the Pattaya Food & Hoteliers Expo 2008, met to publicize the forthcoming event, which will take place from from 28 – 30 August, 2008.